Angela graduated from the University of North Carolina at Chapel Hill with a Bachelor of Science in Public Health Nutrition and holds a Masters Degree in Nutrition and Exercise Physiology from the University of North Carolina at Greensboro. She is a registered dietitian, a certified LEAP therapist, and certified by the American College of Sports Medicine as an Exercise Specialist. Angela has been providing consulting and counseling services for over 20 years in general nutrition, nutrition and disease, food allergies and sensitivities, eating disorders, cardiac rehabilitation, weight management, sports nutrition, exercise prescription, corporate health, health education and program development. 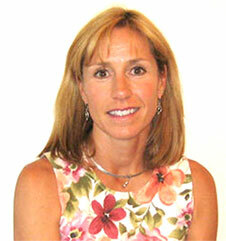 She enjoys helping clients meet their health and wellness needs and provides direction for their specific goals. During her free time she likes to run, snow ski, golf, cycle, and spend time with her extremely active daughter. She lives in South Denver and Crested Butte, Colorado.